In 1984, Madeleine Kunin won election as Vermont's first female governor. Almost a quarter-century later, the state has yet to vote in a second. On Sunday, Kunin revealed her plans to change that. No, the former Democratic governor, U.S. deputy education secretary and ambassador to her homeland of Switzerland, isn't running against Republican incumbent James Douglas next year. Instead, Kunin will release a new book, "Pearls, Politics and Power: How Women Can Win and Lead," in hopes of inspiring her peers to seek local, state and national office. "I want not only to pass the torch, but also to fire up the next generation," Kunin said at a "sneak-peek" event in Brattleboro. Kunin, who made state history as governor from 1985 to 1991, went on to serve as deputy education secretary for former President Clinton, who then appointed her to a three-year term as ambassador to Switzerland in 1996. The 74-year-old wrote her autobiography, "Living a Political Life," in 1994. But seeing the need for more female leaders, the onetime journalist recently decided to write another book. Women may comprise half the world's population, but they total only 16 percent of members of Congress, 16 percent of top U.S. corporate leaders and 16 percent of all lower-house parliamentary representatives in 187 countries. "One of the questions I ask in this book is why?" said Kunin, now a visiting professor at the University of Vermont in Burlington. "We are so well-educated and have so many rights, yet women are not entering the political fray." To find an answer, Kunin has researched the history of the women's suffrage and feminist movements and interviewed current presidential candidate Sen. Hillary Rodham Clinton, D-N.Y., and 35 other female U.S. senators, congresswomen, governors, state legislators and local officials. She also spoke with Vermont high school juniors at the annual Girls State model government program. There, she discovered one deterrent to women running for office had nothing to do with gender: Students complained of political name-calling and loss of privacy. 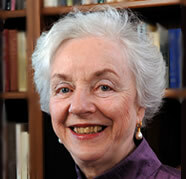 "Our view of politics has made it unattractive for newcomers to enter the system," Kunin said. Even so, women face particular problems. Kunin used the example of Bill and Hillary Clinton. When he cries, he appears compassionate. But what happens when she tears up? "Damned if you're too tough and doomed if you're too soft," Kunin said. "Be aware of the clichés and gender assumptions that are used when describing her. We all see things through gender glasses because we've been brought up that way — all of us, women as well as men." Kunin read excerpts of her book — Chelsea Green Publishing of White River Junction plans on an April release — at a Democratic fund-raiser attended by 40 people at Brattleboro's River Garden building. Her book's message, its publicity says, is simple: "If we are to better address problems such as access to health care, family leave, education, global warming, and war and peace, America needs an infusion of new leadership. For women to imagine themselves in charge they have to hear the stories of the women who are." Kunin said, "The women who have the passion and belief against all the odds are out there." Vermont, she said, has women in 37.8 percent of its state legislative seats — the highest percentage in the country. "The more you see, the more you get," she said. 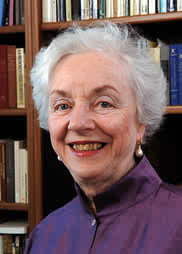 Kunin's book also will feature a chapter on whether the country is ready for a female president. "This chapter is being continually revised," she said only half joking. "Read the book," she replied. Contact Kevin O'Connor at kevin.oconnor@rutlandherald.com. "For women to imagine themselves in charge they have to hear the stories of the women who are." "We are so well-educated and have so many rights, yet women are not entering the political fray." Kunin has researched the history of the women's suffrage and feminist movements and interviewed current presidential candidate Sen. Hillary Rodham Clinton, D-N.Y., and 35 other female U.S. senators congress-women, governors, state legislators and local officials.